Everyone is talking about recent rate changes. Interest rates are nearly 3% lower than what we saw in 1999—the last time the economy was doing extremely well. With the economy heating up due to the added stimulus from the new tax plan, it’s important to focus on the COST of waiting. Let’s look at an example. If you are looking to purchase a home with a $250,000 loan but decided to wait, and rates soared back up to 7.5%. 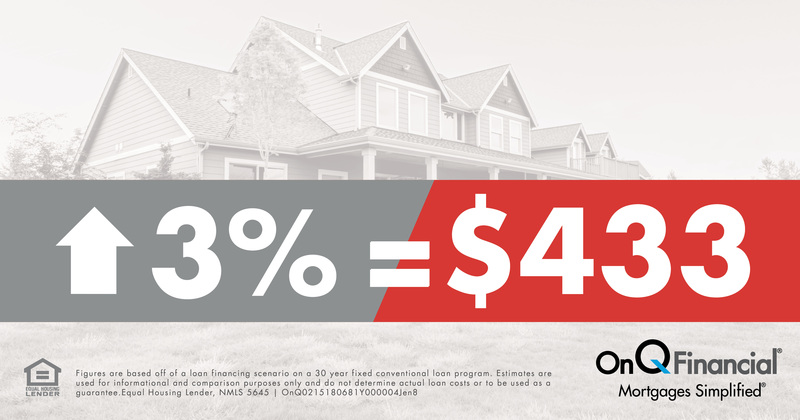 If you had locked sooner, at a 3% lower interest rate, your monthly payment could have been $433 CHEAPER. Think about what you could save in just one year alone! Please feel free to reach out to Megan or I to discuss your options, how to maximize your home purchase power and how we can negotiate a great deal on a home.